As the inaugural event, PrimalCon 2010 will always have a special place in my heart. But PC2011 is shaping up to be even bigger (3-4 times as many people) and better. Grok stars from all over the world will be coming to Oxnard, CA for this 3-day retreat. There are only 20 spots left and it’s only 2 months away, so reserve your spot today before they’re sold out! Angelo dela Cruz: Angelo won well-deserved “MVP” honors at PrimalCon 2010. 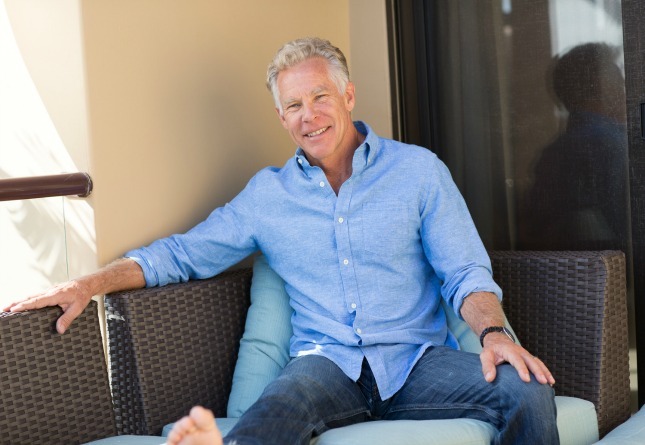 The guy was simply amazing – a high-energy master healer and athlete who went from dawn till late at night spreading positive energy to PrimalCon guests. 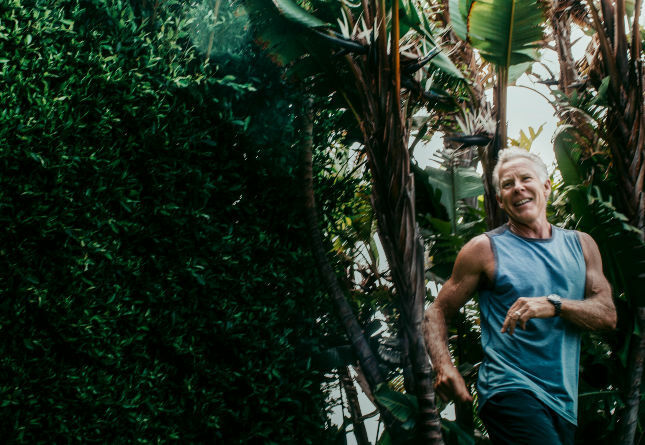 He got us all going with his morning Vitamove sessions (an energizing/focusing mix of tai chi and stretching), took brilliant photos all weekend, and gave incredible massages in his suite to lucky guests. Angelo will be taking things to the next level in 2011 with his “Angelo Experience”: breakdancing, parkour/freerunning, gymnastics, and martial arts — a non-traditional strength and agility workout that explores and stimulates functional capacity in a fun way. Designed as a team relay race! To get a sense of Angelo, check out his ninja warrior audition tape! 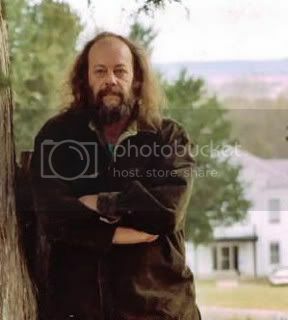 Atlatl Bob: Down from the hinterlands of Montana is the world’s foremost expert on the atlatl, the paleolithic weapon that Bob himself claims is the most profound evolutionary advancement in the history of the human race. Bob will have authentic, handcrafted atlatls at PrimalCon for hands-on instruction and demonstration. True story: we had to obtain an encroachment permit from Oxnard State Beaches due to the fact that the atlatl spears launch 80-120 yards through the air – after only 15 minutes of instruction! 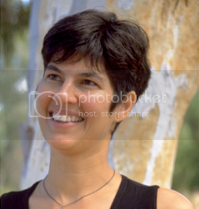 Esther Gokhale: Buoyed by the popularity of Maya White’s posture and movement mechanics presentation at PrimalCon 2010, we’ve secured the presence of the one of the world’s leading experts in posture, movement mechanics and spinal health, Esther Gokhale. 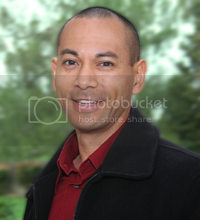 Esther is Maya’s mother and operates the renowned Gokhale clinic in Palo Alto, CA. She is the author of the best-selling “8 Steps to a Pain-Free Back“. By day, she will lecture on posture and movement, and by night she will give the “Gokhale Method” a spicy twist by presenting a clinic on Samba dancing (she claims Samba is the best way to learn and implement the posture and movement technique principles!). Chef Rachel Albert: While the PrimalCon 2010 food was extraordinary, many guests wanted more…not more food mind you, but more information about how to make healthy, delicious meals in their busy daily lives! Enter Chef Rachel, a dynamo of enthusiasm and expertise from Phoenix, AZ who has been making quite an impact on the Primal/paleo cooking world. Chef Rachel will present a cooking demo at PrimalCon. She will introduce you to special cooking techniques, and will show you how to make dazzling, eye-catching arrangements that entice everyone – Primal or not – to dig in. You will also discover the secret for making a delicious, low-impact chocolate dessert that will wow your family and friends. Billy Vives will present his unique and super-creative kettlebell workout throughout the weekend. 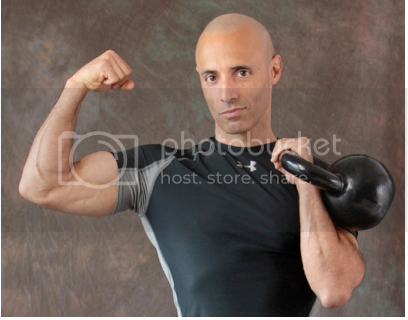 Billy’s kettlebell training honors two key principles: attention to quality of movement and keeping it fun! “Quality of Movement” means fine-tuning the training to ensure that all trainees are learning and maintaining good posture, which is the foundation of efficient movement. He stresses injury prevention and patience (“First move better, then get stronger”). Billy teaches kettlebell training from the “ground up”, allowing trainees to work on understanding how it feels for their body to move right. The trainees flow through the complementary aspects of stability, endurance and dynamic power, while learning how even a relatively light weight (18lbs) can be an easy warm-up – or a challenging test of strength and coordination. Billy’s session caters to all levels – from beginners who have never held a bell to hard-core enthusiasts looking for innovative new ideas. Ted is an independent athlete committed to re-discovering primal natural human capacities and encouraging others to do the same. 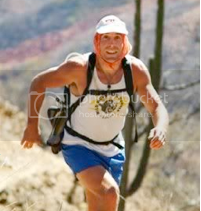 He has been featured in numerous articles focused on the benefits of barefoot running. He also has played a major role in popularizing minimalist footwear including Vibram FiveFingers and huarache sandals. Seriously, you don’t want to miss this event, so grab your spot today and take what is likely a well-deserved 3-day retreat this coming April. See you there! I’m very excited to announce that the new cookbook is being printed as I type, and is due to hit bookshelves on March 25. If you liked The Primal Blueprint Cookbook you’ll love Quick & Easy Meals. 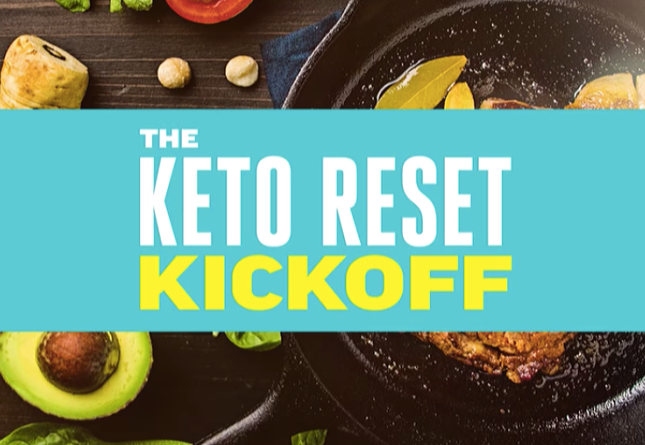 Each recipe comes with a macronutrient breakdown (as requested) and “Time in the Kitchen” so you know what you’re up against. 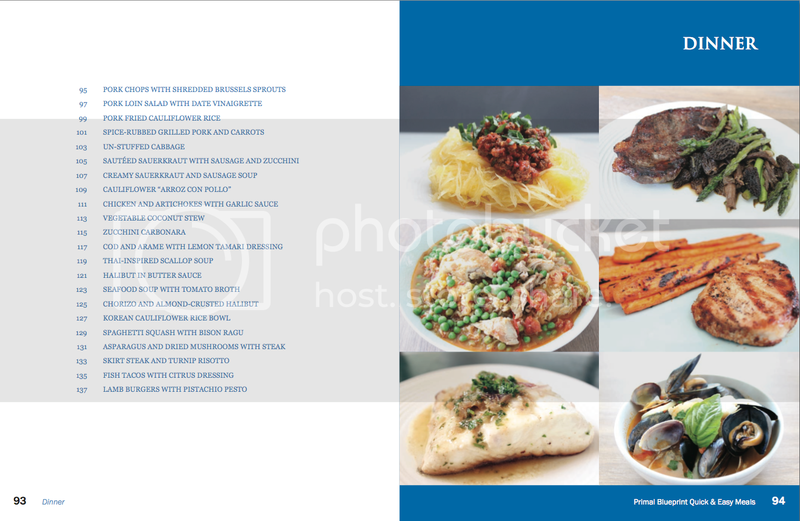 Here are a couple pre-launch cookbook photos to get your mouth watering (click to enlarge). Let me know what you think! (But be nice. As I said, it’s already at the printers…) I’ll be putting together a special early bird offer for those that pick up a copy next month. Stay tuned for all the details! 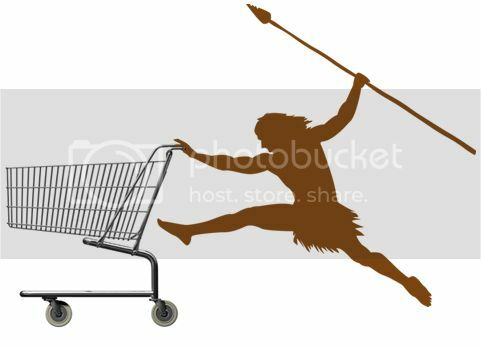 Primal Blueprint Shopping List – It’s Free! Beef. Check. Eggs. Check. Beef. Double check. Jicama. Wait. Is jicama Primal? To answer all of your foraging questions I’ve put together a Primal Blueprint Shopping List page. Check it out here. You’ll find a fairly comprehensive list of what to eat on the Primal Blueprint eating plan. Nary a grain in sight. Just meat, vegetables, eggs, healthy fats, nuts/seeds and fruit. You’ll also find numerous links to archived articles on individual food ingredients AND a downloadable PB Shopping List that you can print and take with you to your local farmers’ market or grocer. Pass the page on to your friends and family, and check it often for updated links. Reader-Created Coconut Recipes eBook – It’s Free! Last September I held a “Primal Iron Chef” contest in which MDA readers were asked to send in their best Primal recipes featuring coconut. The person that submitted the winning recipe, as judged by me and the Worker Bees, received a VitaMix Blender. The only problem was that we received over 100 coconut recipes from readers, many of which could have just as easily won the contest. So I shot out an email to everyone that submitted a recipe asking if they wouldn’t mind being featured in a Coconut Recipe eBook. Most responded with exuberant affirmation, marking the inception of this new publication. Well, it’s finished now – all wrapped up and ready to be delivered to newsletter subscribers. If you aren’t already a newsletter subscriber sign up here. The first newsletter you receive will contain instructions on how to access the free eBook. If you are an existing subscriber you will be sent a newsletter later today with access instructions. Stay tuned! In case you gave up on using the MDA search engine months ago I thought I’d mention that I’ve installed Google Custom Search on both the blog and the forum. Now you can easily find that one thing I said that one time way back when. Give it a try! Thanks for reading, everyone. Have a great weekend, and check back next Friday for an all-new Primal Blueprint Real Life Story. Can’t make the california one but I might be able to get to the Seattle one. Any chance you could hold a PAST in Manhattan? Atlatl Bob’s home of Manhattan, MT, that is! Sure would be an easier for a Montana girl like me to make it there! If not, I’ll try for the Seattle one…if I can convince my husband to be Grokette for the three kids while I’m gone! As a Bozeman girl, I second that! Yay! I’m not alone out here!! And by the way, I’m immensely jealous of the all of the options you have in Bozeman, including the most excellent grocery stores in the state and one of the larger farmer markets, all offered at prices much lower than here in Billings. You should be proud of your city, I hope others in the state will follow your lead! Thank you for the shopping list and the coconut recipe book! I’m trying to integrate Primal into TCM nutrition. I’m ghostwriting a TCM nutrition guide for a local acupuncturist, trading treatments for writing/researching. It’s been a challenge to figure out. TCM says this about hot/warm foods, Mark thinks this, another nutritionist I’ve worked with thinks this, oh, and throw in that I can’t do cruciferous veggies because of my hypothyroidism. AARGH! Keep the good food stuff coming. The more I learn, the easier it gets. And bring PAST to the Minneapolis/St. Paul area, PLEASE????? Thanks for updating the search feature! I’ve used it a couple of times in the past few days, and noticed that my searching was much easier than it has been in the past. I’m not sure I like the new search. I actually found the old search to be pretty spot-on in terms of finding what I want, much better than many other sites. The problem with the new one (aside from the ads – I guess I got used to a site that was blessedly Google-ad free!) is that it returns results from comments as well. The prior search only returned strings found in the article title or body. This can be a nice thing if you are interested in searching the comments, but for the most part it clutters or obscures the results you want. Would be nice if there were some advanced options. I’ve found the new search to be beyond better than the old search. The old search frustrated me to no end. I’ll see about eliminating comments from search results, but I haven’t found that it clutters the results much. Or actually central suburbs would be easier for travelers! Yes… Chicago! Grand Rapids, MI would be better but I take it you won’t come here so Chicago! The coconut recipe book looks amazing. I could eat coconut at every meal now and never have the same meal twice! Am I the only one that’s disappointed that the picture of Barefoot Ted didn’t show his feet? Also, I am super friggin’ excited for all the new recipes!! Thanks so much Mark! You make being Primal easy for those that can’t afford much. I really appreciate the free PB Fitness and now two reader cookbooks. One day when I’m raking in the big bucks when I’m done school I will be at a Primal Con!! How about a “kid-friendly” cookbook? My husband and I are completely sold on Primal cooking. The kids…not yet. I’m sure they will be, but could use some simpler dishes in the meantime. THANKS for all you do! Last night I made a three-kids-under-the-age-of-five-approved meal of chicken thighs sauteed with diced tomatoes, kalamata olives, capers, onions, spinach, mushrooms, and fresh mozzarella. For them served over a bit of pasta (obviously optional), but for the rest of us, as is. Maybe if they’re older and can hear you talking about “Primal” food, they will reject it, but if you don’t tell them they’re eating Primal, maybe they wouldn’t notice? Young kids are pretty easy, I’d say, since they’re going to eat what I serve them. The first thing they asked for when I switched the house over to Primal was breakfast cereal, so I kept telling them that I forgot to buy some, and that eggs are better for us anyway. I even kind of lied to my husband when I told him I simply started to forget to buy bread after I was diagnosed Celiac. Neither the kids nor my husband no longer ask for cereal, pasta, or bread. I have a harder time with fruit juices, the kids get bored with water and dislike my sparkling water with limes (can’t say I blame them, I miss my Diet Coke). Suggestions on that one? To Mary- have you checked out http://www.primalkitchen.blogspot.com? Great site with lots of kid friendly info. Sara, how do you feel about stevia? I make fresh lemonade sometimes with fresh squeezed lemons and liquid stevia to taste. And there are a lot of fruity herbal teas that I make a quart or two at a time and then drink like iced tea. I like them unsweetened but again, a few drops of stevia would make it more like fruit juice. I started by just cutting out the potatoes, rice and pasta. They didn’t even notice. The new search engine is fabulous! Thank you! The new cookbook looks promising… looking forward to it! Thanks for the shopping list–great reference and just what I needed! re primal con-how bout doing a one day less expensive workshop in the sf bay area? can’t afford the $695 plus hotel fee! this price seems like it will really exclude moderate income folks such as myself. if money were “no object” i’d be there! That’s what PAST is all about, Suzie. I don’t have San Francisco on the schedule just yet, but it could happen. Stay tuned. Mark, if you continue providing quality content such as this, then I’ll continue purchasing your Primal Fuel and other products. And I think I’m getting the better end of the deal. I am all over cookbooks! So awesome that you give some for free, too. You rock, Mark! For all that you do to help people live healthier lives!! Awesome! 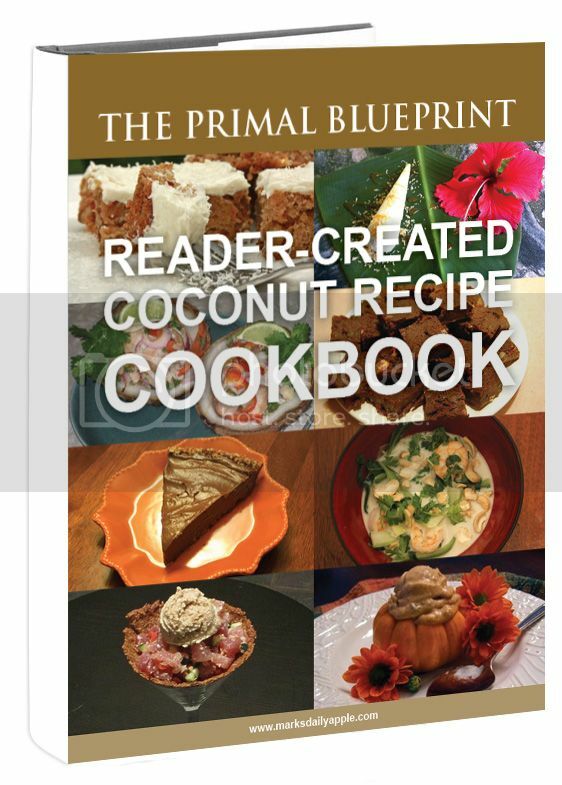 Can’t wait to try out the new reader submitted coconut recipes 🙂 Love the Primal Blueprint Cookbook I got for Christmas, looks like next on my list will be the new Quick & Easy Meals cookbook! Thanks!! thanks for posting the cookbooks-they look incredible! 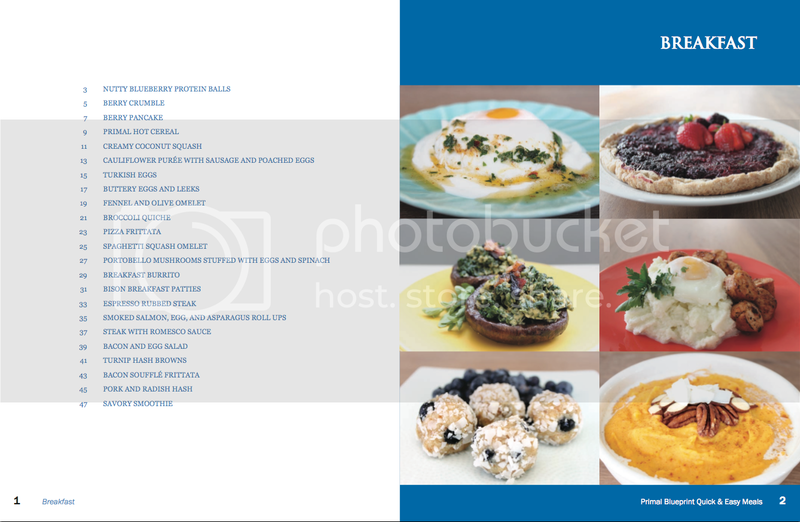 The pictures for the cookbook are beautiful–I can hardly wait to get that cookbook! And I will definitely download the coconut recipes book. Thanks for the inspiration! Laurie, I am told they fixed that glitch and you should be able to pre-order now without canceling. I was told they had entered the wrong ISBN number so had to cancel the first few orders, FWIW. Though I have to say that you would think Amazon would have put that in their email to me, so people wouldn’t think that the book had been cancelled. Jeesh, Amazon! Thanks for the coconut cookbook. Couldn’t have come at a better time…we just stocked up on flour, oil, and unsweet shredded coconut! Great timing. if you’re coming to austin please drive the 3 hours north to dallas! THANK YOU for the shopping list!! How handy! And the Coconut Cookbook looks really great!! Thanks again!! You listed peppermint twice in the shopping list. Thank you, Thank you, Thank you! 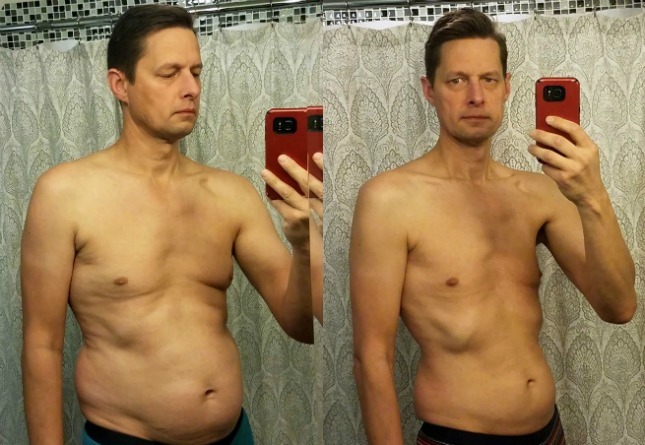 I’m new to the primal lifestyle, just started on Tuesday, and I’m already noticing a difference in my well-being and my weight. My muscles and joints don’t ache, I no longer have hypoglycemic spells, my 20 year fight with sinusitis is coming to an end and I’ve lost 5 pounds without feeling hungry or deprived! Amazing! For those of you who have reservations, I understand, I’ve been there. The first morning as I was enjoying my eggs scrambled in butter(divine! ), I felt so guilty: shouldn’t I be slogging down yet another bowl of oatmeal, after all oats are “healthy”, eggs and butter are not! Just try it, give it a week, give it two. You will feel amazing! I think I am going to sign up for primalcon… so much money but how could I miss it?! THANK YOU, thank you, thank you for the Seattle Primal seminar! Just a ferry ride away for me. I hope to attend and bring others with me. The free cookbooks are great! Looking forward to the new one coming out. Shopping list is perfect for those who keep asking what to buy and how to eat! Again, THANK YOU! While I an giving kudos, I also want to inform you that we are in love with the new protein shake, Primal Fuel. A great improvement! I would like to express my thanks for many things, not least of which is the amazing transformation I am living through. This continues to be the most informative, content rich and useful spot on the web that I have found to date. I’ve bought your books, tried the fuel and will certainly attend any functions in the Boston area (as well as a PrimalCon at some future point) all as a way of expressing that thanks in a concrete way. Hope that you r well. I dont know lot about this site. Please tell me about this site………..
Looks Great Mark… you need to make sure you add NY on your tour!!! It’s all fantastic Mark. So great to see everything going from strength to strength – just like your peeps! I see in your new quick and easy cook book a recipe with mushrooms. I wonder what Doug Kauffman would say about that. Thanks for the coconut cookbook, but I have to ask: Coprolite Delight? Really? Why not just call them Turd Balls? Somebody may have thought that was clever, but I guess I’m missing the gene that makes [some] people think eating feces is funny, fossilized or otherwise.